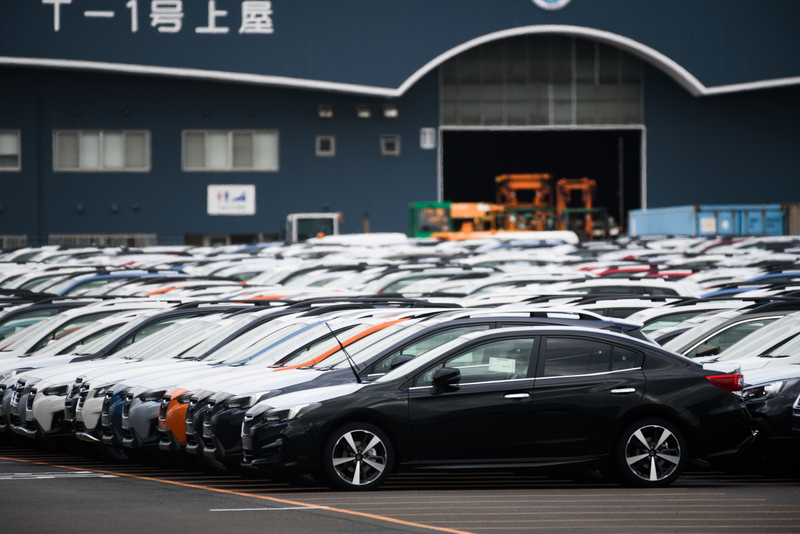 Higher U.S. tariffs on Japanese car exports are less likely now that the two nations have agreed to start new trade talks, economists said, but most think U.S. trade friction with China and other economies will have a significant impact on Japan. The U.S. threatened to slap 25 percent tariffs on auto exports from Japan, but Washington agreed not to do so while fresh trade talks are underway. President Donald Trump has made clear he is unhappy with Japan’s $69 billion trade surplus with the U.S. — nearly two-thirds from cars — and wants a two-way agreement to address it. 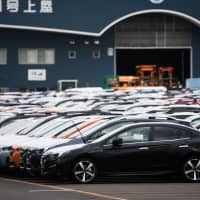 Twenty-seven of 35 analysts said the chance of higher American tariffs on Japanese cars declined “significantly” or “to some extent,” according to poll conducted from Oct. 3 to last Friday. In an escalating trade war between China and the U.S., Trump warned there was much more he could do that would hurt China’s economy further, showing no signs of backing off. Economic growth in Japan likely slowed in the July-September quarter to an annualized 0.5 percent due partly to natural disasters, analysts said, but the lull will be temporary. Typhoons and flooding in western Japan and an earthquake in Hokkaido disrupted production and distribution, as well as tourism. The consumption tax is due to rise in October 2019, which could tip the economy into an annualized 2.9 percent contraction in the fourth quarter next year, the poll found, but smaller than the 3.5 percent contraction projected last month. The core consumer price index, which includes oil products but excludes fresh food prices, is expected to rise 0.9 percent this fiscal year and at the same rate — excluding effects of the consumption tax hike — next year, the poll showed. Most economists forecast the BOJ will start unwinding its ultraloose monetary policy if it decides to change its policy, while only a few expect the bank to adopt additional easing steps, the poll found. Either way, most of the economists in the survey predicted it will likely be sometime in 2020 or later when the BOJ will make its next move.